With the right question, Siri has loose lips. 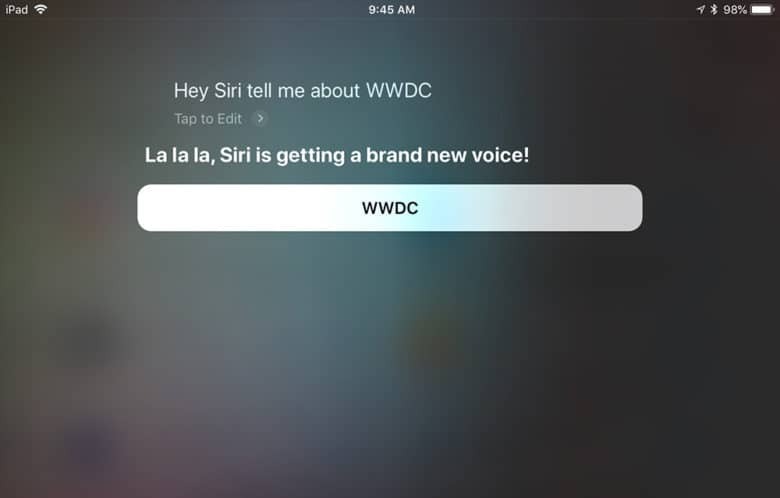 Correction: This post has been updated to indicate that the Siri “leaks” making headlines this week appear to be leftovers from WWDC 2017. The somewhat cryptic Siri responses, which caused some confusion, appear to have been removed by the Siri team. When asked about Apple’s upcoming Worldwide Developer’s Conference, Siri very sweetly dishes two interesting bits of news. Apple’s voice assistant will get a new voice, and she will lend it to a new HomePod. Cult of Mac staff members put the same questions to Siri and got the same responses. 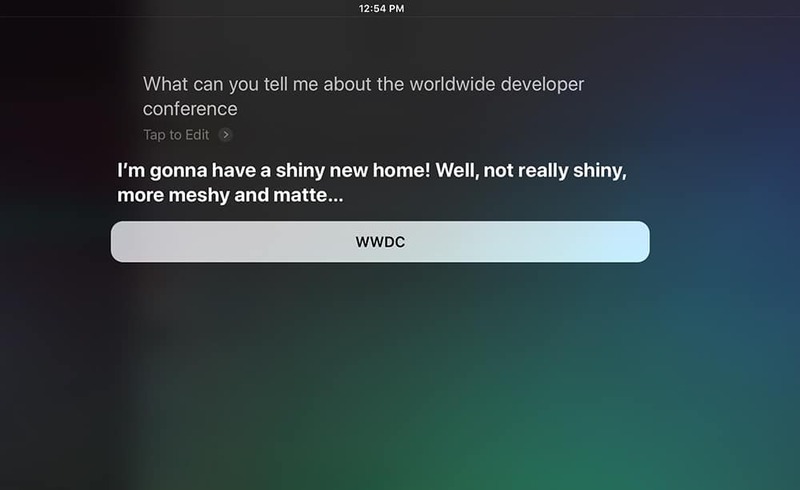 Siri upgrades coming at WWDC 2018? Siri talks about getting a new voice and a new home — which happened in 2017. Apple’s annual WWDC 2018 is set for June 4-8 in San Jose, California. Company executives are expected to roll out new versions of iOS, macOS, watchOS and tvOS at the developer conference. Having Siri generate pre-conference buzz is clever but not surprising given Apple’s creativity when promoting its brand. 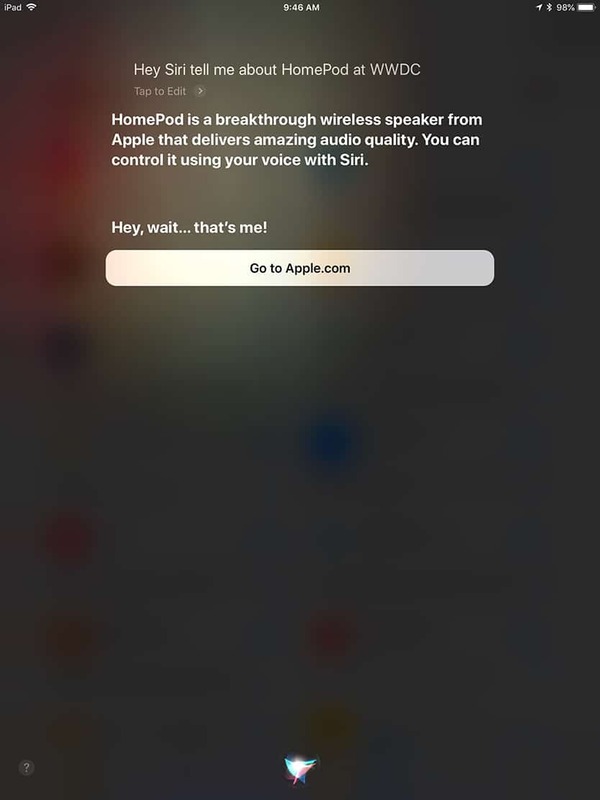 Siri dishing the news about herself and the HomePod. Siri is likely to gain new skills in iOS 12, which is rumored to include a single set of apps that work across both iOS and macOS. It’s hard to imagine Siri without the now-iconic delivery of American voice artist Susan Bennett, who has been the mouthpiece since October 2011. That’s when the iPhone 4s became the first handset to feature a voice assistant. If only Siri would provide a sample sound or a name to go with that new voice. This post was updated May 22, 2018, at 11:25 a.m. Pacific.